As a testament to our claims, we are a licensed dealer for Industrial, Laboratory and Water Treament Chemicals. The following gallery contains scanned copies of our operating and poison licenses. 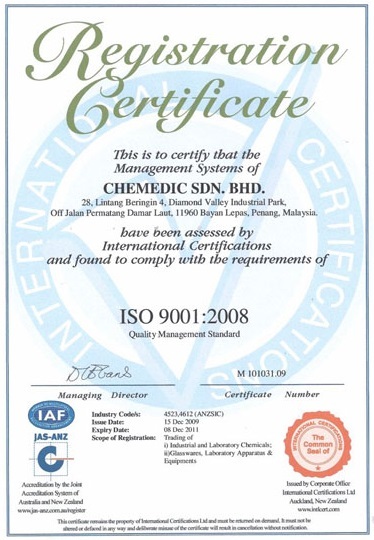 Apart from that, our commitment towards quality management and product has won us an award from ISO 9001:2008. ISO 9001:2008 Award for Quality Management. 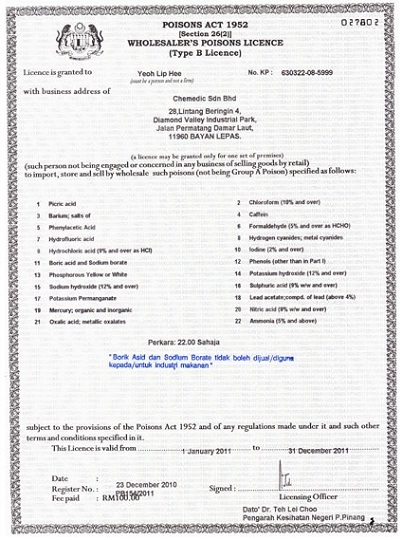 Government Certification of Chemedic as dealer for the listed products. 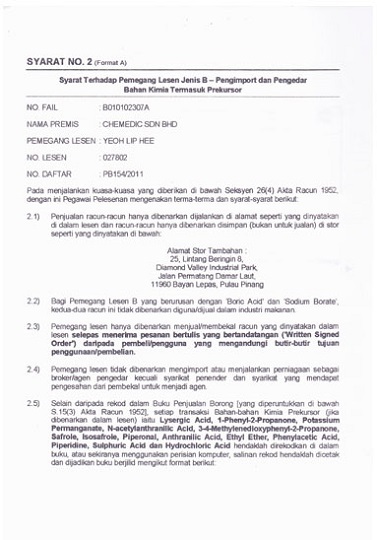 Our poison license that allows us to sell industrial and water treatment chemicals. 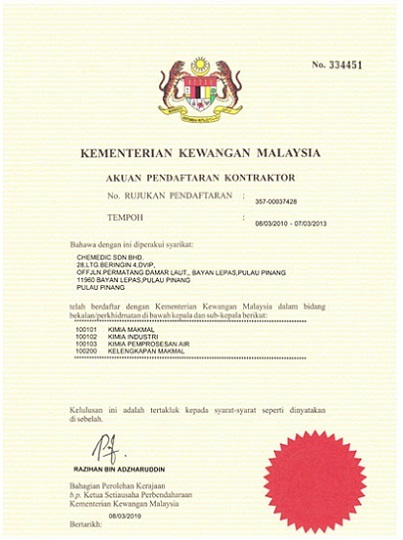 Our license for importing and dealing chemicals.